“Into Thin Air” is an account of the 1996 Mount Everest tragedy, when a violent storm hit Everest, trapping three teams high on the mountain and killing eight climbers. Krakauer was on a team led by famed guide Rob Hall. Four climbers from Hall’s team died, including Hall himself. (A fifth member of Hall’s team, Beck Weathers, was left to die on Everest, but miraculously revived and walked down to safety.) Also dying was Scott Fischer, the lead guide on a second team, plus three climbers from India. A series of mistakes caused by miscommunication and lapses in judgment led to climbers continuing up the mountain hours past a reasonable turnaround time. Contributing to the mistakes was the pressure on guides Rob Hall and Scott Fischer to successfully get their paying clients to the summit. When the unexpected storm it, it was too late for them to safely return to camp. 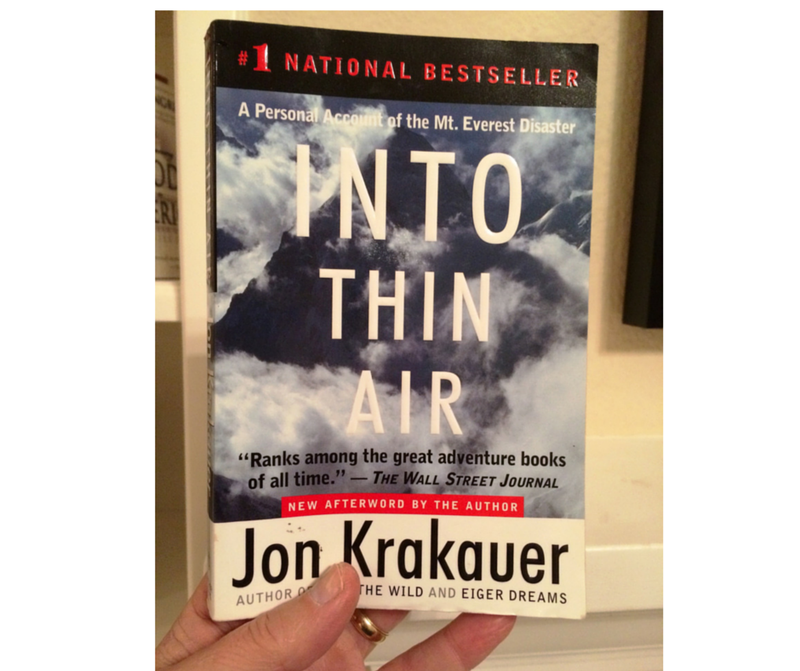 “Into Thin Air” is intense, sometimes painful to read. Krakauer’s account of the phone call between Rob Hall and his pregnant wife in New Zealand, made when Hall knew he probably wouldn’t make it off the mountain alive, is powerful.